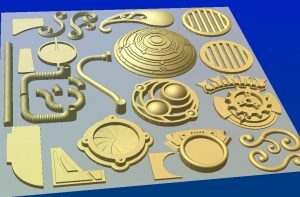 Do you want to add some spice to your dimensional sign design, but don’t have the time to create new 3d models? 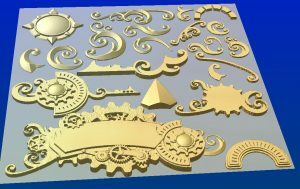 Doug Haffner of Haffner’s Fantastic Creations has put together a library of steampunk design elements for 3D signs. 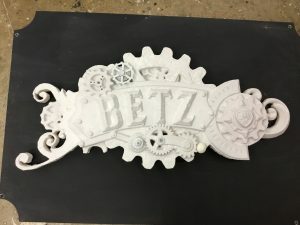 He uses the design elements to fabricate dimensional steampunk creations, including signs, doors and even name plaques like this recent one created using Precision Board HDU. 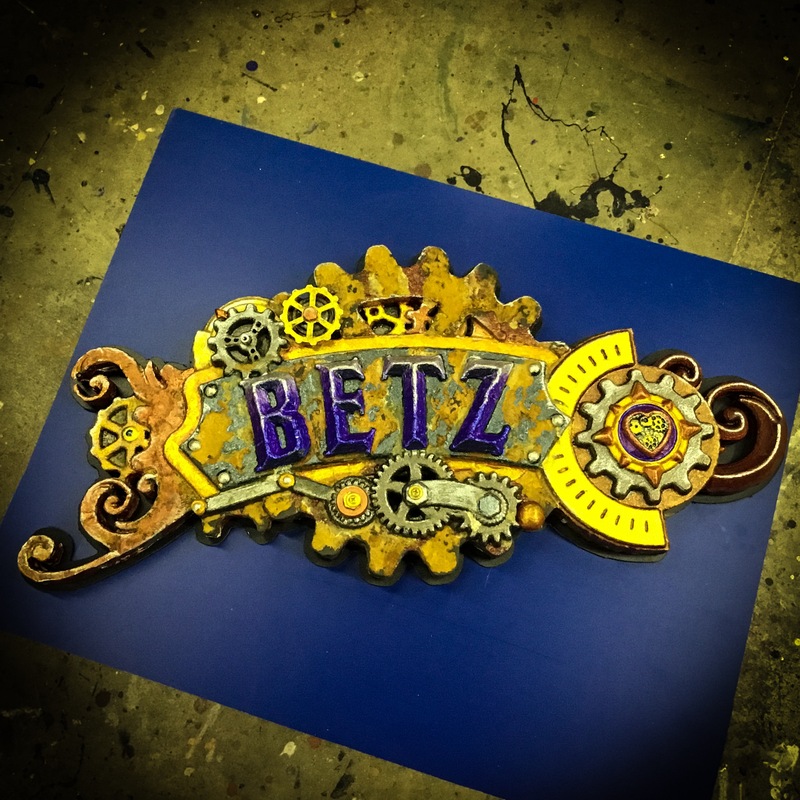 Doug let us in on how he creates such fantastic looking dimensional Precision Board signs. 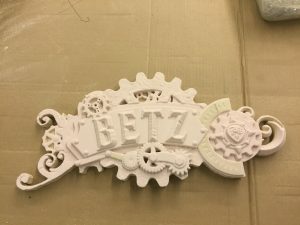 “I get a lot of requests for plaques with family names on them. 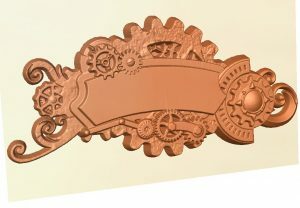 This particular couple really liked steampunk, so I used one of the designs from my new collection,” says Haffner. 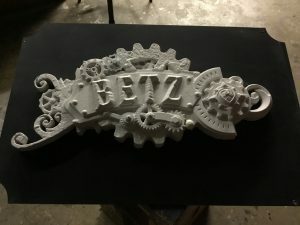 He saved time by having the 3D template ready to go and then was able to customize it using it as the base and swapping out elements to make it look unique. 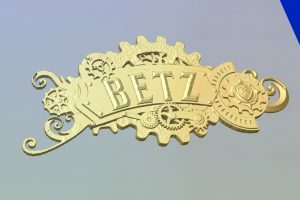 The name plate was carved using PBLT-30. Doug used one piece of 30lb material, 24” by 15” by 2” thick. He used a ½ inch ball nose for the roughing pass and an 1/8th inch ball nose for the finishing pass. 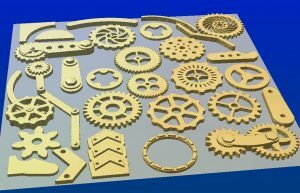 Doug started building these 3D steam punk models as a library for himself, but then realized this was something he had been looking for, but hadn’t found. 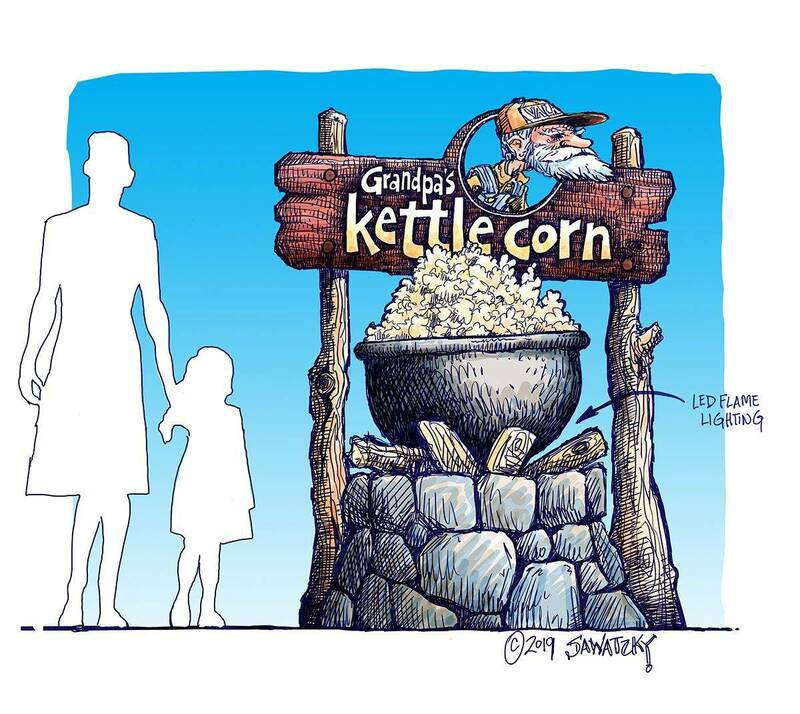 “I thought that other people would like something like this that they could use,” says Haffner. 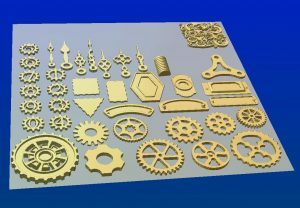 He had seen Dan Sawatzky selling texture designs and thought steampunk designs would make a good collection. You can purchase Doug’s Steampunk Elements Volume 1 here. In terms of total project time, it took Doug about five hours from design to finished product. 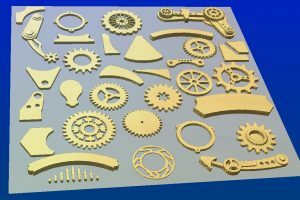 The 3D modeling time was about an hour. Then about two hours to carve total, including roughing and finishing. Finally, another hour to hour and a half painting. 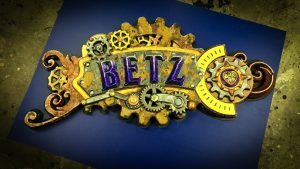 Haffner’s Fantastic Creations is based in Illinois and fabricates dimensional signs, murals and theme environments. Give Doug Haffner a call at (330) 309-9537 or visit his Facebook Page if you want one of these amazing signs for yourself! He ships domestic and international. You can get free samples, watch training videos or sign up for the monthly blog roundup newsletter from Coastal Enterprises so that you don’t miss blogs like this one! Call us at 800-845-0745. We’d love to hear from you.